Your website’s footer is hardly its most glamorous section. Tucked away at the bottom of each page, it’s easy to overlook in favor of other, more prominent elements. However, failing to carefully design your WordPress footer means missing out on some key engagement opportunities. The footer is actually a crucial tool, just as important as your site’s header in its own way. It provides a ‘cap’ to your content, and the perfect opportunity to offer key information to your visitors. A simple, but thoughtfully laid-out footer section can benefit your site quite a lot. In this post, we’ll talk a little more about why your WordPress footer matters. Then we’ll offer some tips for designing it to be as effective as possible. Let’s take a look! 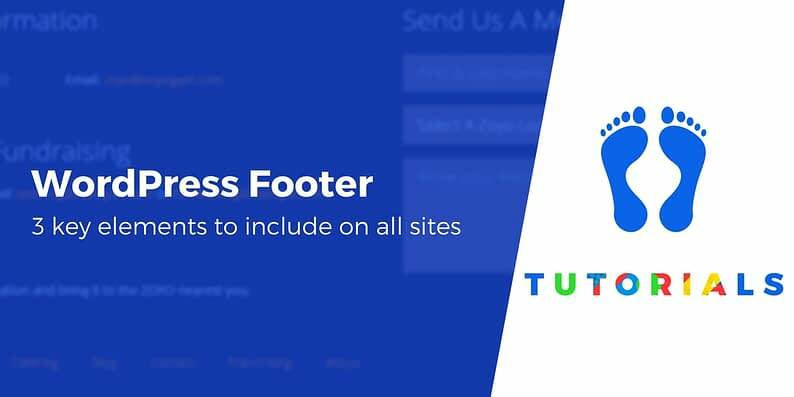 A simple but effective footer can compliment your site’s design perfectly. When it comes to writing an article, blog post, or similar piece of written content, you’re probably well aware of the importance of introductions and conclusions. The former gives readers a preliminary look at your content and what it’s all about, while the latter provides a crucial summary and a last chance to hook their attention and interest. We bring this up because it can be useful to think about your website in the same way. Your site’s header, menu, and other top-level elements form its ‘introduction’, and it can be tempting to focus all your efforts on them. However, your footer – or ‘conclusion’ – is just as vital. In fact, many visitors remain highly engaged all the way down to the bottom of each page. In other words, your footer section is a summary of your website as a whole. 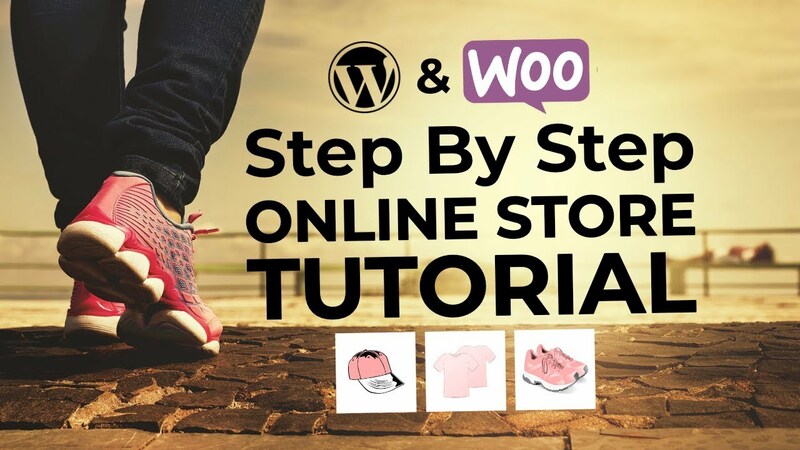 By collecting the most important details in this one place, you create an effective end cap to your content and give visitors a location where they can easily find what they need. So, how do you go about actually designing an effective WordPress footer? While you won’t want yours to be a cookie-cutter version of any other site, there are some common and vital elements to consider no matter what you’re building. Let’s look at three of the most important tips for putting together a quality footer section. Nowadays, most themes use widgets for the WordPress footer, so you should be able to add these elements using regular WordPress widgets. That is, go to Appearance → Widgets in your WordPress dashboard and add new widgets to the footer section. This post explains how to use widgets in more detail. For many websites, contact information is one of their most vital features. How else will customers ask questions about your e-commerce business, or readers of your blog share their ideas and requests? Making it easy for people to get in touch is key for building an audience, driving conversions, and much more. After all, your contact page is likely found by using a menu somewhere close to the beginning of each page. Your footer, on the other hand, is the last thing visitors see after scrolling down through a product page, reading a blog post, and so on. Immediately presenting them with contact details once they’ve finishing perusing your content is a smart move for encouraging them to get in touch right away. There are a few ways you can go about doing this. You can simply offer a link to your contact page, of course. However, this is easy to miss so we’d recommend including at least a few concrete pieces of information, such as your physical address, email address, and phone number. A contact form will take up a little more space in your footer, but can be a valuable addition if you don’t have lots of information to include in the section. What’s more, when you’re using a tool such as Contact Form 7, placing a form in your footer is just as simple as including it anywhere else on your site. We can’t overstate the importance of clear and functional navigation to your website’s success. At all points, it’s vital that visitors know how to get around, and can find what they need quickly and easily. Consider what the most important links on your site are. Footer space is limited, so you’ll want to stick with featuring top-level pages and vital sections – the places visitors are most likely to go. Organize those links into a handful of sections. This is a great way to provide a brief, useful ‘map’ of your site. For example, you can list all the pages with basic information about your company in one section and all your services under another. Beyond usability benefits, this approach can also help you funnel link equity to key content, which is an important part of WordPress SEO. Your site’s CTA is an element that tells visitors exactly what action you want them to take and provides a simple means for doing so. It can be a Buy Now button, an email list subscription, or even a membership sign-up form. CTAs are so important that you’ll want to put careful thought into how you place them. They should be prominent, and you don’t want to use too many (in order to avoid pestering visitors or overwhelming them with too many options). Still, it’s not a bad idea to use your primary CTA a couple of times throughout your site. Keep it as simple and minimalist as possible. This keeps your footer uncluttered, makes the CTA easy to spot, and leaves no doubt in the visitor’s mind as to what they’re supposed to do. Make sure people can actually perform the desired action within the footer itself. Don’t prompt them to make a purchase or sign up to an email list, and expect them to scroll back up to your primary CTA in order to do so. Instead, embed your CTA button, link, or form right in the footer. Most importantly, we highly recommend including no more than one CTA in your site’s footer. Otherwise, you risk diluting your primary message. Along with your site’s header, menu, and sidebars, the footer helps to make up its primary structure. When done well, your WordPress footer can provide a convenient snapshot of your site. Include contact information, and potentially a contact form. Create a ‘key links’ section to provide additional navigation. Do you have any questions about how to design your website’s footer section? Ask us anything in the comments section below!